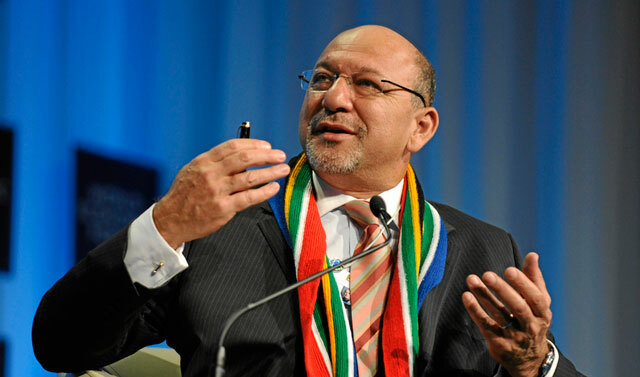 The National Planning Commission’s revised National Development Plan, handed over to President Jacob Zuma by planning minister Trevor Manuel on Wednesday, has raised the idea of separating Telkom structurally into two businesses, one focused on backhaul operations and the other on retail. The National Development Plan states that to achieve the country’s information and communications technology (ICT) goals it must have a coordinated ICT strategy and plan, a key aspect of which would be the establishment of a common carrier network. This could “possibly” be achieved by “structurally separating Telkom’s backbone operations from its retail services [or]at least applying open-access policies to encourage sharing of certain elements of the backbone fibre network without discouraging private long-term investment”. The revised development plan has made significant changes to its proposals for the ICT industry, tightening up the wording and making it clear that the commission is in favour of free-market competition, coupled with effective regulation, to deliver broadband and other telecommunications services affordably to consumers. The revised plan concedes that the performance of “most state interventions in the ICT sector has been disappointing”. It says, too, that it is necessary to address the “inherent conflict of interest” between government’s role as a competitive player in the market through Sentech, Broadband Infraco and its majority shareholding in Telkom, and its role as policy maker. Similar tensions exist at local government level, the report says. The document laments what it describes as the “ineffectual” regulation of Telkom’s dominance in SA telecoms, which it says has resulted in an increase in the cost of services and products and inhibited investment in business process outsourcing and offshore IT-enabled services. Constraining factors have included little evidence of an effective strategy to ensure that connectivity in SA keeps up with connectivity in peer countries; policy constraints, weaknesses in institutional arrangements, conflicting policies, regulatory failure and limited competition; and the ability of the Independent Communications Authority of SA to facilitate a more open market. “In the very short term, and well in advance of 2030, the state will need to re-establish the shape and nature of its participation in the sector,” the plan reads. “A new policy framework will be needed to realise the vision of a fully connected society. A key issue will be to decide on the role of state infrastructure interventions, [which]will have to balance the priority goal of achieving affordable and truly universal access to communications services while recognising the general efficiencies that may be derived from the application of private capital in economic activity. It also needs to streamline spectrum allocation and ensure that spectrum that will be freed up through the migration from analogue to digital terrestrial television is made available to telecoms operators as quickly as possible. As in the previous version of the plan, it calls for spectrum to be made fully tradeable. Spectrum policy should favour competition but incumbent operators should not be excluded from gaining access to bands needed for expansion or to apply new technologies. Apart from raising the idea of a possible structural separation of Telkom, the report says that for the country to achieve its goals in ICT, a national “e-strategy” is needed that cuts across government departments and industry sectors.